Weekend Box Office: So when do we get our Lobo movie? 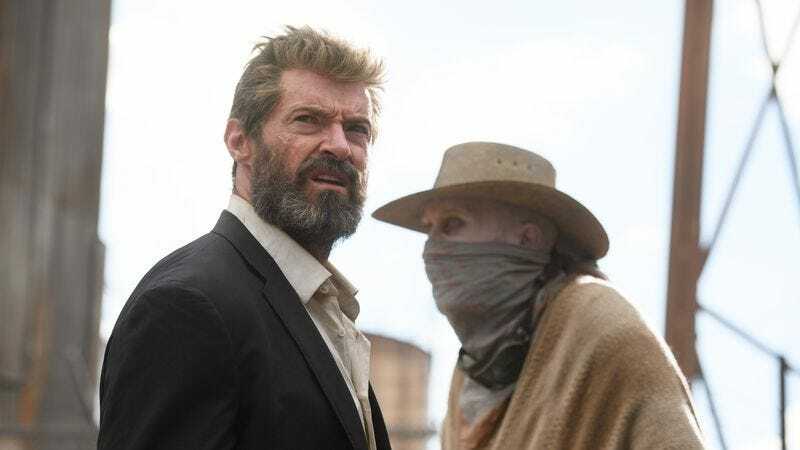 Blood, guts, cursing, the R rating that allowed those things, a mournful tone, a non-franchise name, a lack of superhero cameos, and even wild horses couldn’t drag people away from Logan. The third and reportedly final entry in Fox’s solo Wolverine series overcame the aforementioned impediments to blockbuster-dom to make a cool $85.3 million this weekend. That’s the best opening of the year so far, but not the best opening ever for an R-rated movie—only, however, because its fellow adult-oriented, (mostly) self-contained chapter in the X-Men saga, Deadpool, still holds the distinction. There are a lot of lessons to be learned from Logan’s success, the most heartening of which may be that you can take chances with a wildly popular property and still sell enough tickets to buy a life-sized replica of Professor Xavier’s mansion. Something tells us, though, that the main takeaway for studios will be that edgy, violent superheroes are totally in. The plus side to that is we may finally get that Lobo movie that’s been on and off for a while. DC likes money, too. Maybe Logan’s competition would have done a little better if it wasn’t also up against last week’s big winner, Get Out, which is shaping up to be quite the crowd-pleasing hit: Jordan Peele’s pointed, entertaining directorial debut lost only about a quarter of its audience in weekend two, landing in second place with an additional $26.1 million. Further down the charts, edging its way into the top ten for the first time, was newly minted Best Picture winner Moonlight, which parlayed its surprising (like, really surprising) Oscar-night victory into a successful expansion into 1,500-plus theaters—a move that’s helping the lowest grossing (and plenty would say the best) of the Best Picture nominees reach new audiences. Make time for it, America. Logan isn’t going anywhere.